Given that it’s Saint Patrick’s Day this weekend, it seems appropriate to seek out an Irish monster. So when I spotted this in the supermarket, it seemed like a clear sign from the beer gods. 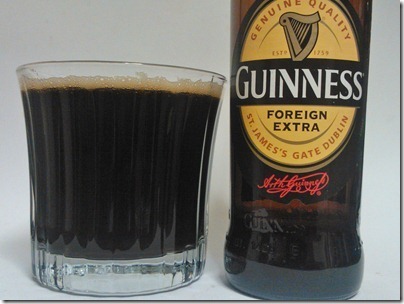 Here we have Guinness Foreign Extra. 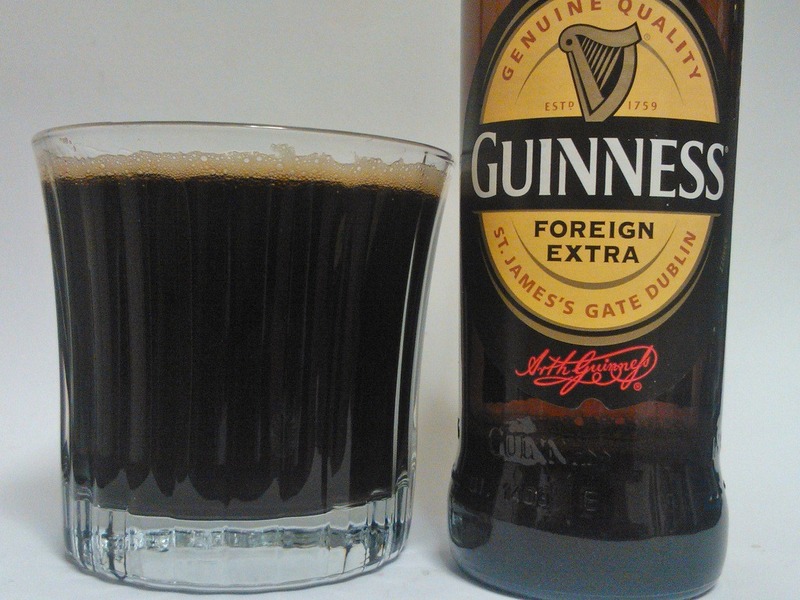 Unlike (I believe) the regular Guinness we get here in the UK, this has actually been brewed in Ireland, and comes in at 7.5% – a perfect way, then, to start Saint Patrick’s Weekend. It pours properly black in the glass, although with a thinner, more open textured head than you would expect from a regular Guinness. The nose is full of sweet molasses, a whiff of espresso and a faintly metallic tang. On tasting it, my first impression is of the bubbles, and more of that metallic edge. Allow the fizz to die down on your tongue and that coffee bitterness comes through, along with just a hint of the alcohol heat. The sweetness I was expecting from the smell is there but very understated; in fact there’s quite a nice, dry bitter finish on it. This is a curious one; it’s quite light and easy drinking for a stout – and for a monster beer. But it’s nicely balanced, very tasty and thoroughly Irish!